Original Bacon Hot Sauce is like a straight bacon kick in the mouth. Great on Eggs, Potatoes, Vegetables, Wings, Burgers, Sandwiches, French Fries and a perfect addition to a Bloody Mary. 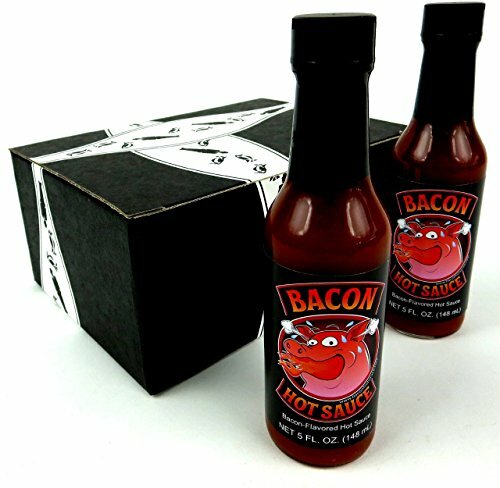 Now get two 5 oz bottles of delicious Bacon Hot Sauce in a gift box for any occasion. If you have any questions about this product by Black Tie Mercantile, contact us by completing and submitting the form below. If you are looking for a specif part number, please include it with your message.